Dia di Rincon (Rincon Day) is a special day on the island of Bonaire, celebrated at the end of the Simadan (Harvest) on April 30 each year. It’s been an annual event for more than a quarter century! The focus is in the oldest town of Bonaire and the Dutch Caribbean, Rincon. The highlight is the traditional Simadan parade, which takes place late in the afternoon. You can enjoy an array of local cuisines and listen to local music and traditional dances. All of these activities take place in the city center where locals and visitors meet and enjoy several cultural festivities. Throughout the day there will be stalls lining the main street of Rincon selling sweets, local “Krioyo” food, other goods and souvenirs, many of which are locally made on Bonaire. All the festivities start early morning and go on to the wee hours! Exited? Don’t wait too long as space is limited during this popular event. During this event we can offer you a special deal! 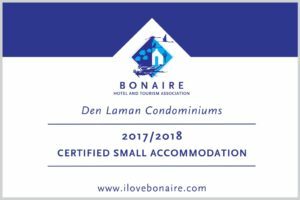 If you book your minimum 7 nights stay at Den Laman between April 15 and May 14 for Dia di Rincon, you will get a voucher with a value of $50 per person to be used at several restaurants and venues on Bonaire (for new bookings only). Thank you, Carole and Joe! You have always been staunch supporters of Bonaire! I am sure that everyone who has been hard at work for the past week appreciates your thoughtfulness.